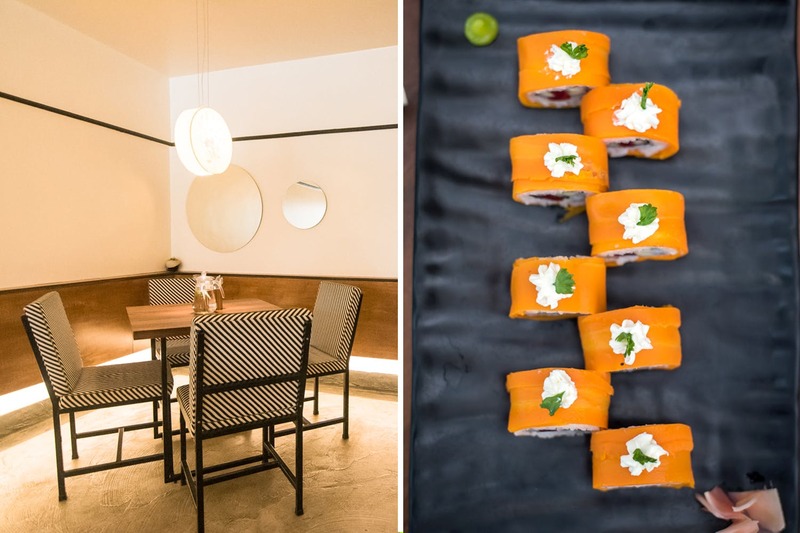 Tucked inside a leafy lane of Model Colony, Tien has been one of our favorite health cafes in town and we hear, it has recently revamped its decor and is now serving nutritious meals to your doorstep. Tien is a gorgeous little neighbourhood cafe that is perfect for a brunch date or a lazy afternoon meal. The ambience is quite relaxed and compliments the subtle decor of the place. Tien has both al fresco and indoor setting with high bar stools, wooden tables, low hanging lights, a quirky bookshelf on the wall and lots of green, potted plants in and around the place. Currently, the restaurant is focused on enhancing the entire farm-to-table experience and is working towards incorporating fresher ingredients, pesticide-free produce and organic components. Having said that, we are a huge fan of Tien’s sushis and all-day breakfast menu that includes omelets served with a dollop of smoked salmon and homemade ricotta. Apart from this, the broccoli, mushroom and quinoa salad with prawns and Thai-style coconut curry with Kerala matta rice are good too. For beverages, get yourself a glass of immunity booster, which is slow pressed carrot, beetroot,apple and ginger with lemon that helps to slow down the oxidation process. What’s more? Tien has started its own delivery services that’ll bring nutritious grub to your doorstep without any hassle. For more deets, get in touch with the restaurant at 09130060997. Not all changes are bad, and Tien is a great example of that.